We all love bags, hanbags or clutches. There many design in internet and you can search. 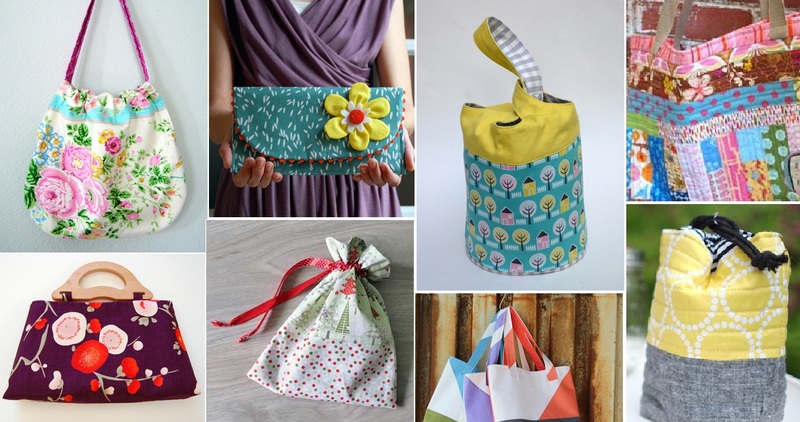 You can search beautiful bag tutorials, but we have searched already 10 pretty, useful and lovely bag easy tutorials. You can choose at least on of them and sew it for you, for friends or for family members. It’s will be great gift for all. You can also remake designs or change material as you like. These bags will look good at many type of clothing and accessories. Colorful deasign will make your look more attractive and elegant. These bags as we have said yet are very useful and very spaceful, so you can take with you many items if you have one of these bags. Enjoy and mak your life easier with your accessories.